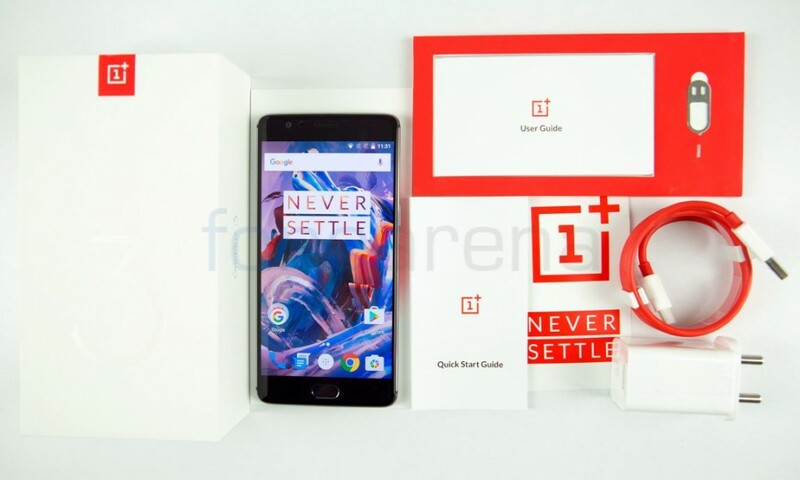 The OnePlus 3 is the latest flagship product from the brand that “Never Settle”s and this time around, it truly seems like they didn’t settle, at least on paper. Let’s dive into the review to see how the smartphone fared in the real world. We already unboxed the OnePlus 3. 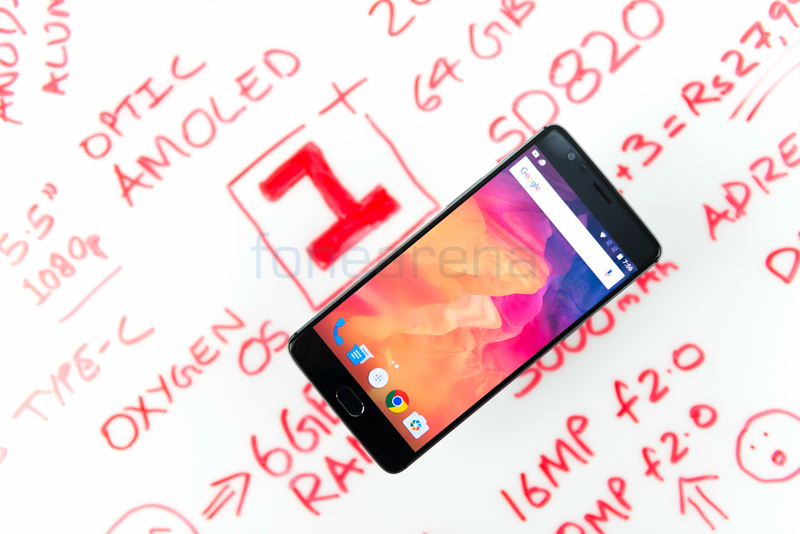 The OnePlus 3 probably has one of the biggest changes or deviations in OnePlus history. The OnePlus 2 was more of a refinement of the original design that brought about a lot of positive changes and a few negatives as well. The OnePlus 3 on the other hand breaks tradition and goes in a direction that one did not expect OnePlus to go in and that is a good thing. The difference isn’t that big if you look at the device from the front but the back tells an entirely different story. As much as we love the Sandstone finish on the original OnePlus One and OnePlus 2, there seemed to be some sort of self-imposed restriction that held back both these devices from truly achieving a stellar design. 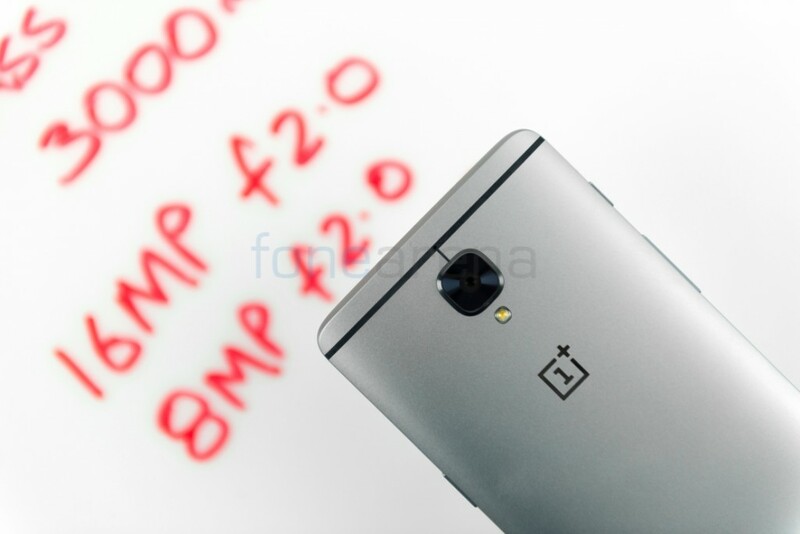 The OnePlus One in my opinion had a really good build quality and same was the case with the OnePlus 2. 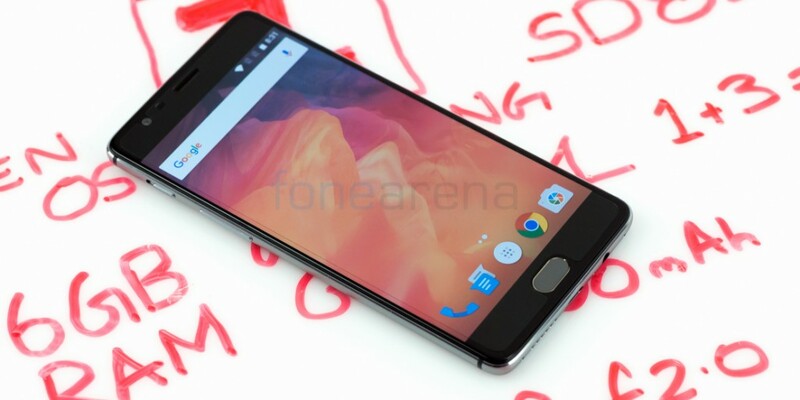 The design however wasn’t very appealing to me at least and while the OnePlus 2 did feel more premium in the way it looks, it too lacked refinement. Luckily, OnePlus have flipped the table this time around and gone for something that truly does look and feel like a flagship. The all new metal unibody design looks really pleasing to the eyes and the phone is built like a tank. It is a bit light to the touch however that doesn’t really take away the premium feel like it does on some devices (LG G5, I’m looking at you * wink wink *). The lightness can mostly be attributed to the use of Anodized Aluminium in its construction as well as the good weight distribution. The OP3 is the slimmest flagship phone till date from OnePlus at just 7.3 mm at its thinnest point. The curved back is not too curved that it rocks about like a boat but just about the right amount to feel and fit naturally in your hand. The OnePlus 3 will be available in two colours – Graphite which is what we have here will be available on launch followed by a Soft Gold variant that will be launched shortly after. Although no time frame has been revealed yet for the Gold variant. The device is more or less the same as the OP2 in terms of physical footprint. The OP3 is a tad bit taller but narrower than the OP2. The OP3 does feel a lot less chunkier than its predecessor though. Up front, you have a 2.5D curved glass, Corning Gorilla Glass 4 to be precise that protects the 5.5” display. You get the front facing camera, earpiece as well as the ambient light and proximity sensors. Below the display, you have a set of two capacitive buttons and the fingerprint sensor. The right side of the device features the Dual Nano-SIM slot and the power button. Left side houses the volume rocker button as well as the three stage profile key which has received an overhaul. If you put the OP2 and OP3 side by side, the profile key looks nearly identical with the former having a slightly thicker slider key than the latter. However, the OP3 key is much easier to slide and has better feedback than the OP2. 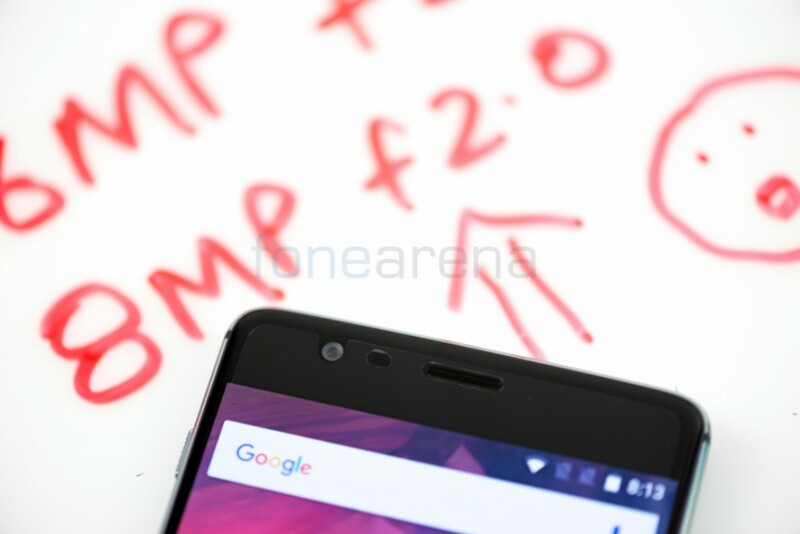 The OP2 profile key was a bit too hard to use at times and required two hands to switch modes at times. The OP3 manages to do the same easily with one hand and the positioning of the slider key is also more natural since it is moved further up. The top is sans any control or ports while the bottom is a different story. At the bottom, you find the loudspeaker grille, USB Type-C port, microphone and the 3,5mm audio jack. There are also two screws here, which should get you access to the device internals. (Note that this is something that should only be done at an authorized service center unless you don’t mind voiding the warranty). At the back, you have the 16 Megapixel camera module and LED flash. The OnePlus logo is also nicely embossed into the phone’s body and has a glossy finish just like the rim around the camera hump. 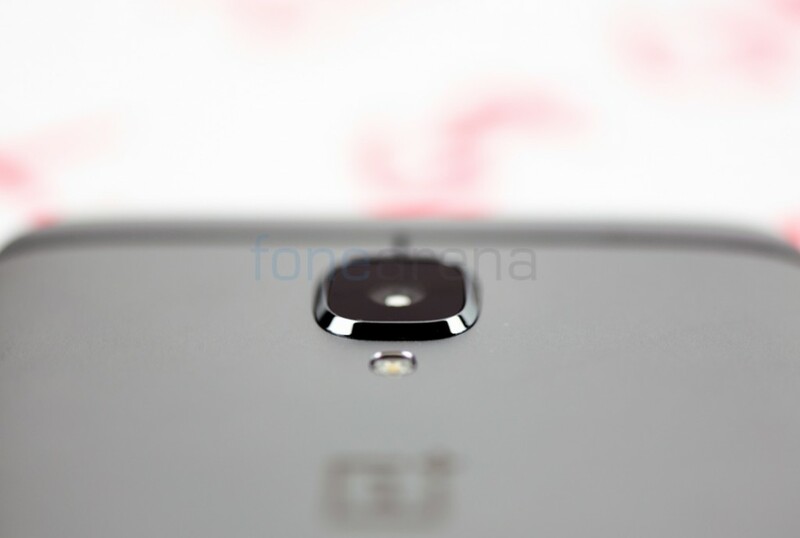 The camera hump is probably the biggest pet peeve of mine with the OnePlus design. I am not someone who minds the camera unit protruding, especially if it is with proper cause, however on the OnePlus 3, it does seem to stick out a bit more than I would find appropriate. Don’t get me wrong, it doesn’t really feel awkward to slide into your pocket or even when placed flat on a table. But, it just seems a bit out of place when you have a design that has been thought of so well and as a whole when you look at the phone, this one element seems to a bit out of place. 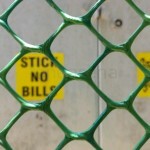 It might not affect some of your readers but it did bother me a bit. However, it definitely isn’t a dealbreaker. Another welcome change is the use of a soft matte touch finish that is probably on the other side of a spectrum in terms of being a fingerprint magnet compared to phones such as the Galaxy S7 series. The matte finish also gives better grip when holding. At the back, you also see two antenna lines which are a bit thicker and more prominent than some other devices out there and would’ve definitely been nice to have one of those new designs like the Asus Zenfone 3 Deluxe that hides the antenna lines. However, with that said, if people are willing to accept the iPhone 6s and 6s Plus which have horrible antenna lines running all around the back, the OnePlus 3 should not face any issues. The secondary microphone is also hidden neatly in the middle of the upper antenna line just above the camera module. The battery is non-removable and neither is the back cover. 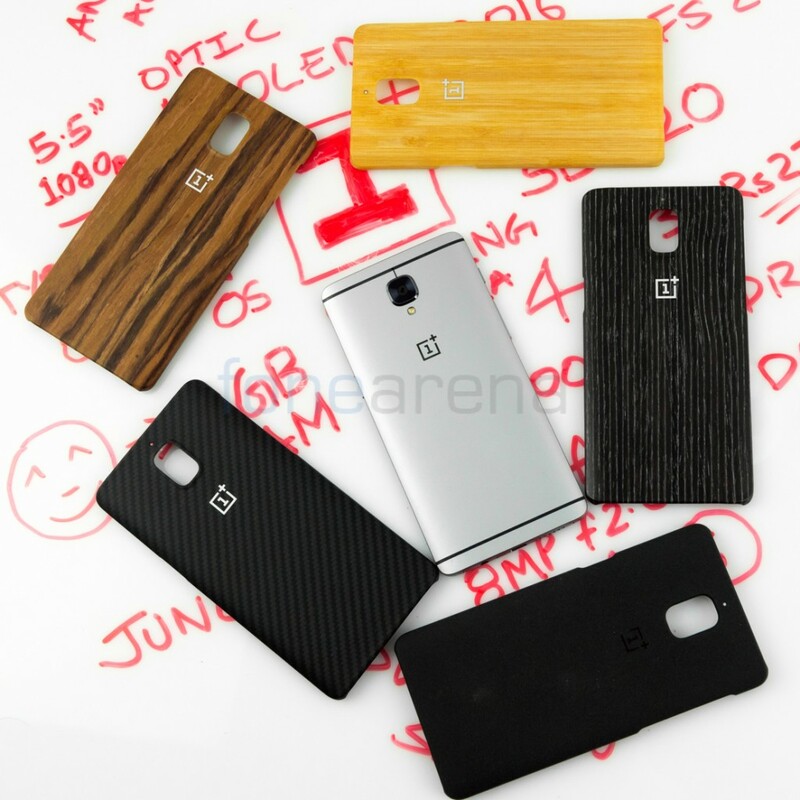 Don’t think that OnePlus have forgotten its roots and done away with Sandstone covers or customizability just yet. They still have it, just that they’ve managed to implement it in a better way in the form of covers. One of the issue with the exchangeable back panels on the OnePlus One or OnePlus 2 was that the panels itself were part of the phone and as a result, you didn’t get any extra protection and whatever damage happens, happens on the phone itself. You could get a case or a cover to protect it, but then again, it masks the beauty of these panels. 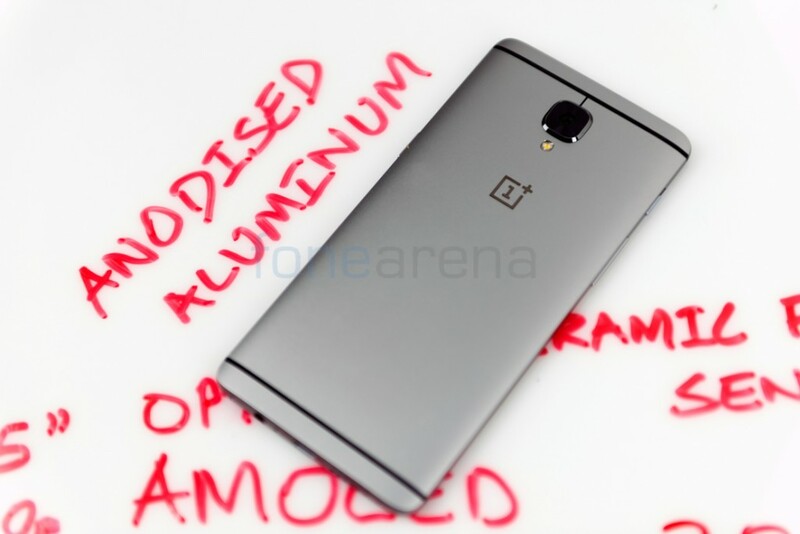 This time around, OnePlus kept it elegant and simple with the metal unibody. For those users who are looking for customizability, they can use the covers that will not just give them a unique pattern and look but also add protection from scratches and maybe a small drop or two. They’ve also improved the quality especially for the Black Apricot and Kevlar back covers that have now become more grippy and have a depth to them. There are a total of 5 covers to choose from such as Sandstone, Kevlar, Rosewood, Bamboo and Black Apricot. The OnePlus 3 sticks to the 5.5” 1080p formula for the display and that deserves a round of applause. It is hard to keep up with the competition when it comes to technology. Not everyone has the kind of R&D teams and access to ground breaking tech as some tech giants have. But what is harder is to basically refrain from pursuing the giants in the numbers game and sticking to something that actually makes sense. 1080p resolution still makes perfect sense on a 5.5” display. The benefits you get from it definitely outweigh the cons by a large margin. You get a much better battery life, lesser load on the CPU and GPU and as a result, a cooler operating temperature for your smartphone. 1440p would perhaps make things a tad bit more crisp and interesting especially if you have high resolution content be it images or video but the difference is only minimal unless you have a screen size of 7 inches or more. The Corning Gorilla Glass 4 with 2.5D curved glass feels really good to swipe and use. The OnePlus X has a beautiful implementation of 2.5D curved glass and its something that we wish the flagship model had too. Well, now we do and they have also included a screen protector on top for added protection. We would’ve loved a tempered glass protector instead but considering the price point that OnePlus are aiming at, this will do. If you’re not a fan of protection, you can just remove it right away. The screen for the first time in a OnePlus flagship is AMOLED instead of the IPS panel used in the previous 2 generations. As a result, you get deep blacks and really good contrast ratios which also go to a great length in improving sunlight legibility. Sunlight legibility is further improved thanks to a built in polarizer. The brightness of the screen isn’t as good as an LCD or IPS unit but the AMOLED screen makes up for that with its contrast levels. Colour rendering too is pretty good but you can easily tweak it based on your preference. 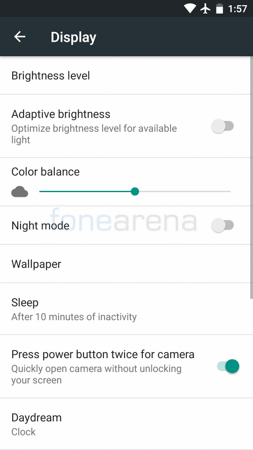 There is also a night mode that users can enable or disable and even adjust the level in order to prevent strain to their eyes. Blue light has been found to be one of the major causes for eye strain and keeping people awake at night. So the night mode essentially cuts down on the amount of blue light emitted by the screen and instead gives a more yellowish tint. 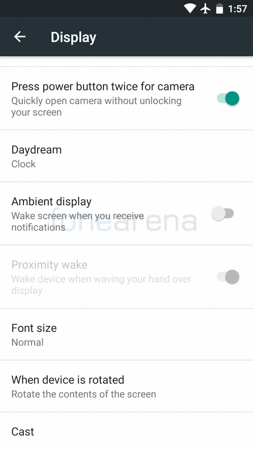 Users also have the option of enabling or disabling ambient display which is a feature that makes your phone screen light up when you receive a notification. 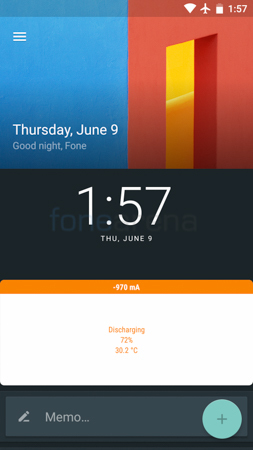 Also present is a proximity wake feature that you can use to wake up the display to take a quick glance at the Time,Day,Date as well as the notifications by just waving your hand over the front of the phone. The front facing camera senses the movement and activates the display. Does it have an effect on battery life? 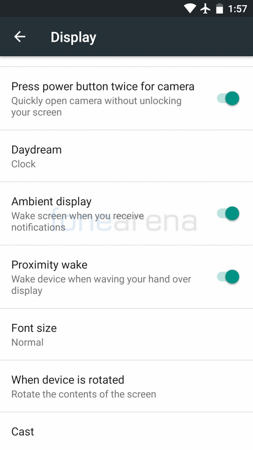 No, not too much of an impact however, the ambient display mode must be turned on in order to enable the proximity wake feature and if you’re someone who constantly receives notifications then that might be a bother and a drain on battery life. 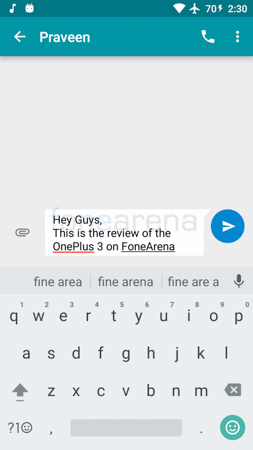 Hope that OnePlus releases an update that makes it an and/or situation rather than just and. 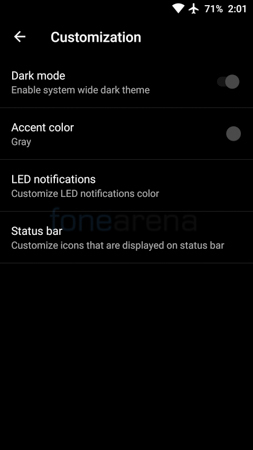 The phone also has an RGB notification light that can be customized from the settings. 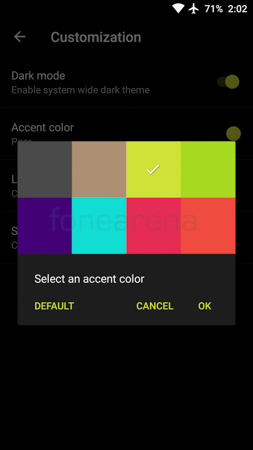 Based on the colour you want, you can customize the phone to display a particular colour for an activity, battery status or app. The capacitive keys are backlight as white dots and offer haptic feedback when needed. Users can also choose to either keep the backlighting on or turn it off completely. Now comes my favourite part of the OnePlus 3 and I’ll straight away say why. The OnePlus 3 has the fastest fingerprint sensor I have ever seen on a smartphone and that includes iOS devices as well. 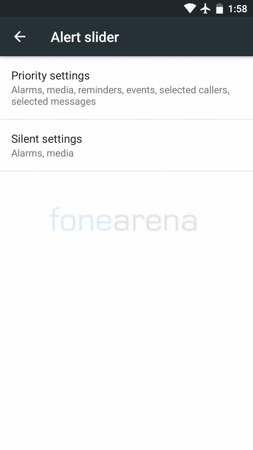 It is active all the time and is able to unlock your phone almost instantaneously when it is sleeping. The fingerprint sensor is housed into the home button at the front bottom lip. There are several ways to unlock the smartphone using the fingerprint sensor. 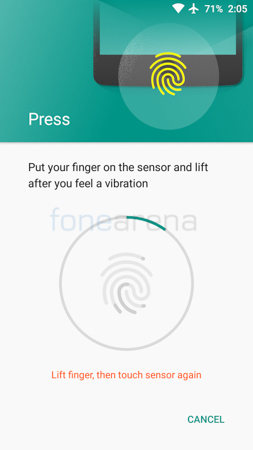 First is by simply touching the fingerprint sensor with your registered finger to unlock and it takes you directly to whatever you were viewing at the time of locking the device. The other option is to wake up the device either by pressing the power key or double tapping the screen (has to be enabled) and then place your finger on the sensor. In every instance, the first method is definitely faster since the latter methods are slowed down due to the unlocking transition or animation. 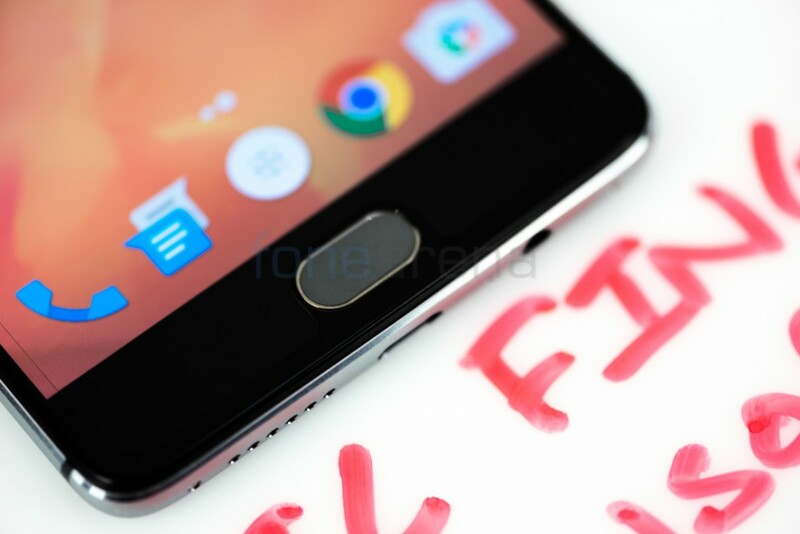 I personally don’t really care much about the position of the fingerprint sensor, be it at the back or front or side. However, I find that the front is probably the best in terms of access since you can even unlock the device when it is kept flat on a surface. You most definitely have to pick up the phone or resort to using a different unlocking method if the sensor is at the back and even when its on the side, you need to usually use another hand to stop it from moving when you place your finger against the sensor. The process of adding fingerprints is pretty fast but not the fastest. Takes about 20 taps to register a finger and a total of 5 fingerprints can be saved. The phone can successfully unlock the phone with a registered fingerprint at almost any angle. Another important thing to note about the fingerprint sensor itself is that it has a ceramic sensor instead of glass or plastic. That means that it’s very difficult to get the sensor scratched even if you place it with keys etc. It is also probably why it is so accurate. I can definitely see a lot of companies going ahead with ceramic for their home button or fingerprint sensors in the near future. 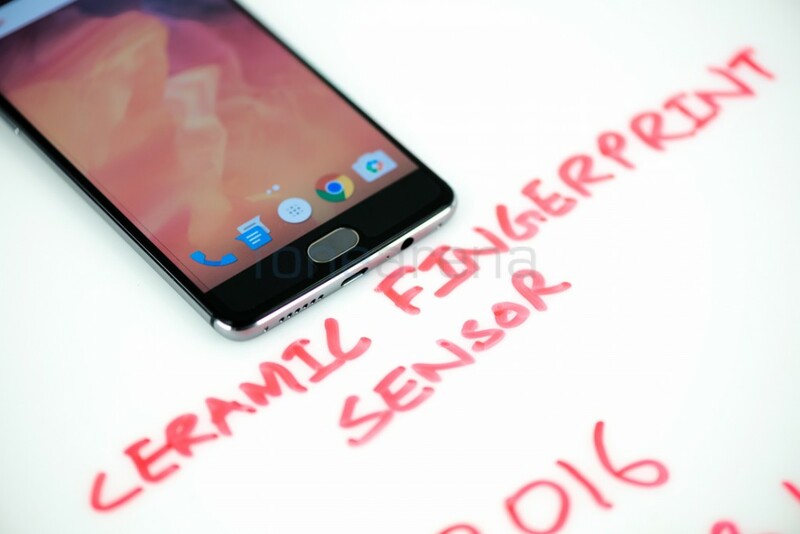 While OnePlus hasn’t mentioned any sign of Ultrasonic fingerprint sensing technology from Qualcomm but it also does a good job of sensing the fingers even if your fingers are wet or relatively dirty. The ceramic sensor also has a lighter shade compared to the Black piano black finish on the front, which does stand out but is something that I actually find adding to the appeal. 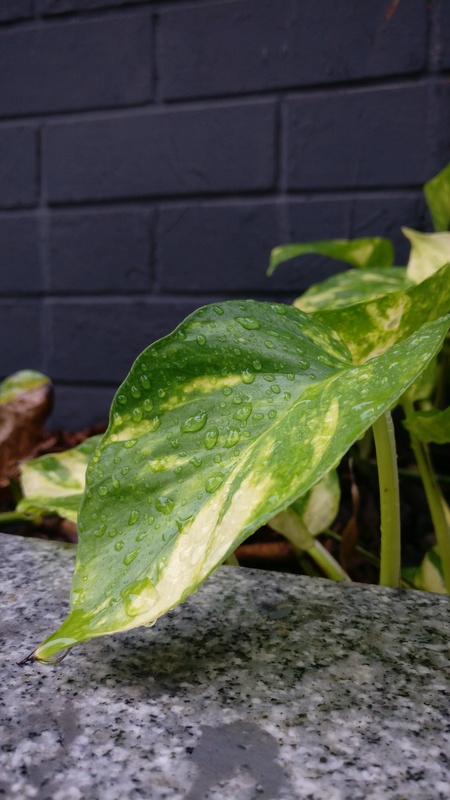 Ceramic is known to be different so having something that does look the part is a good thing. 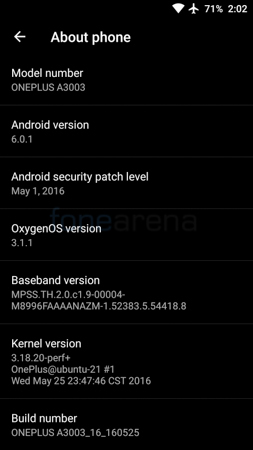 The OnePlus 3 comes with Android 6.0.1 with their own Oxygen OS on top. To be honest, I expected a lot from Oxygen OS when they initially announced it. With a UI that is pretty much close to stock Android, I expected it to be one of the fastest and smoothest UI layers in the business. 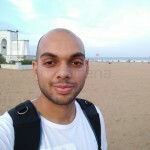 However that wasn’t the case back then and while I was let down in the past, OnePlus seems to make up for it right now. The OS is buttery smooth and we’ve not faced any hiccups so far. Since it is running on Marshmallow, a lot of the goodness from the update trickles down to the OP3 as well. 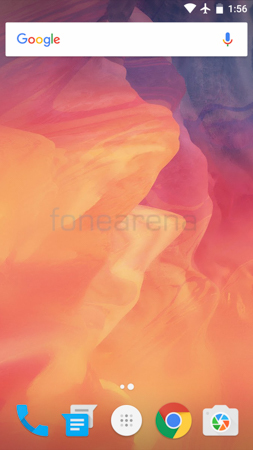 However, OnePlus has made sure to bundle their own customization options to the suite in their traditional fashion. Let’s start with the navigation keys. Users can choose between both on-screen and physical navigation keys. You can also swap the button functions for recent apps and return key. 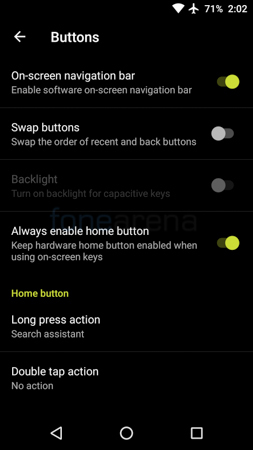 Users can choose to keep the home button enabled even while using on-screen keys or just use it for the fingerprint sensor. 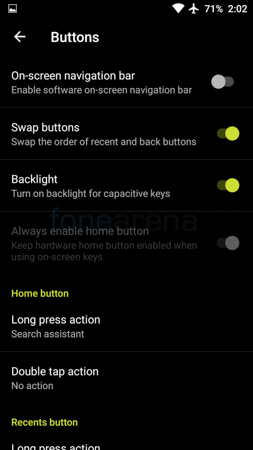 You can also choose whether to have the capacitive keys backlighting on or off. Users can also assign long press and double tap actions to the two capacitive buttons as well as home button. 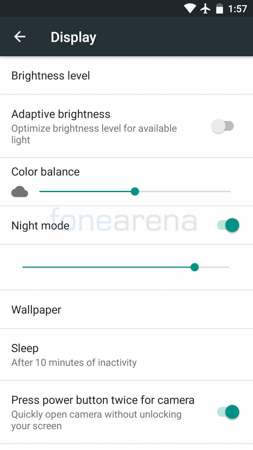 Users can also adjust the settings to have a dark mode, which essentially makes it easier to view in the dark and also saves battery since this is an AMOLED display. You can even adjust the accent colour when the Dark Mode is enabled. 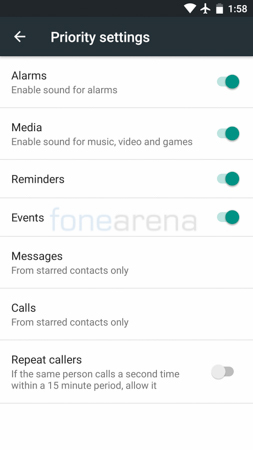 Apart from that, users can customize the colour of the LED notification light, choose the icons on the status bar and also rearrange the shortcuts and icons in the notification drawer. There is a neat feature called Shelf, which is something akin to to a personal digital notepad. You are greeted by a welcome message. You can add widgets, shortcuts, take down notes and much more by just swiping to the right from your homescreen. If you aren’t a fan of the Shelf feature, you can disable it altogether as well. 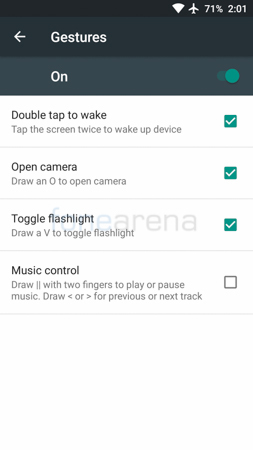 As in the case of previous OP devices, the OP3 also supports screen off gestures such as double tap to wake, draw O to launch camera, V to toggle flashlight etc. We’re pleased to observe that this time around the gestures are more accurate and are more intelligent in avoiding accidental triggers compared to the previous two generations. I used to love using the gestures but would find that on many occasions my phone flashlight was turned on and the battery would drain or looking like an idiot when using the phone in broad daylight without knowing. However, we never had any issues of those sorts with the OP3. This time around, the recent apps screen includes ways to kill one app at a time by swiping to the left or right or pressing the cross button, kill all apps, kill all background processes and apps or managing one app at a time. You can also lock a particular app to prevent it from getting closed or killed when you are using the bulk clear option. Finally, users can also customize the functions of the profile slider key by choosing what to keep active and what to silence in each mode. 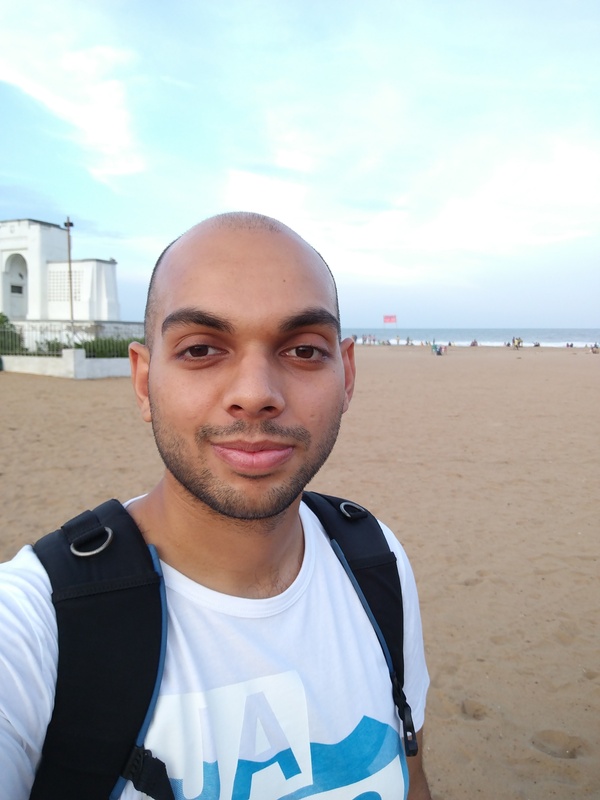 Overall, Oxygen OS has come a long way in terms of performance and usability. However, it still doesn’t offer the same level of customisation as Cyanogen which was one of the selling points of the OnePlus One. 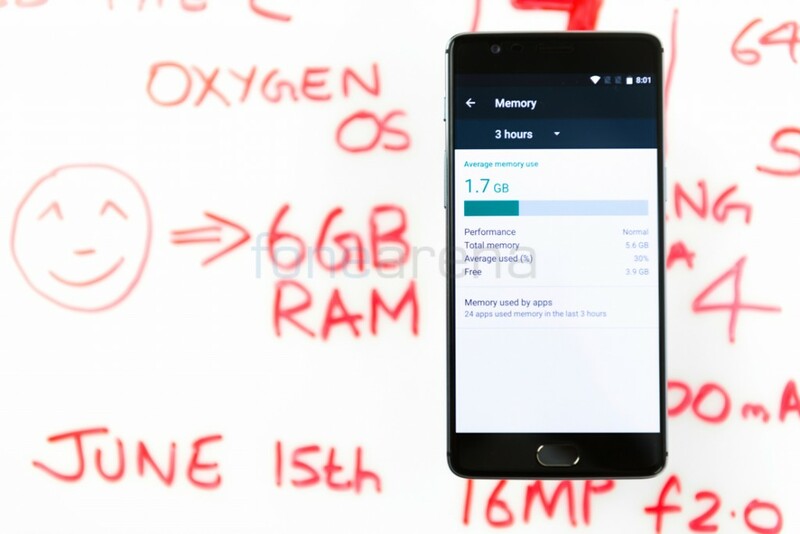 While it may not have been the main selling point of the device as there were many to account for, it still has set a benchmark as to what users expect from Oxygen OS in the future. Things can only go uphill from here on so that is a good thing. Call Quality is quite good on the OnePlus 3. The earpiece is loud and clear even in noisy environments. The second noise-cancelling microphone does a great job at relaying your voice clearly to the other end. The loudspeaker too performs well in terms of clarity but can be drowned out in a loud environment since the volume isn’t that great. The large 5.5” display is a treat to type on and use gesture inputs thanks to the 2.5D curved glass. 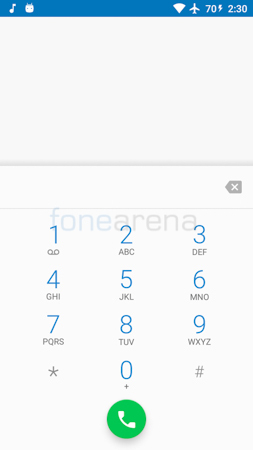 The default keyboard on the device is Google Keyboard which we quite like since it has a nice layout. However, if you aren’t a fan, you could always install another keyboard from the Play Store that is more to your liking. The OnePlus 3 comes with a Dual NanoSIM slot just like its predecessor and supports 4G LTE including FDD-LTE Band 3 and TDD-LTE Band 40 for India. 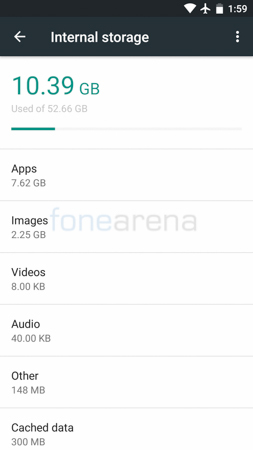 In terms of storage, it comes with 64GB of on board storage, which is UFS 2.0 for much faster data read and write speeds. There is no card slot but 64GB of storage was pretty good during the time of the OnePlus One and even now remains good enough for even most power users. Out of 64GB of on-board storage, the user gets around 52.66GB of free storage upon boot. This time around too, OnePlus has bundled a USB Type-C port however it still supports only USB 2.0 and not 3.0 or 3.1. That’s a bit disappointing but at least they’ve included fast charging this time around and we’ll talk about that later on in the review. There is a major addition or re-addition to the spec sheet this time around in the form of NFC. 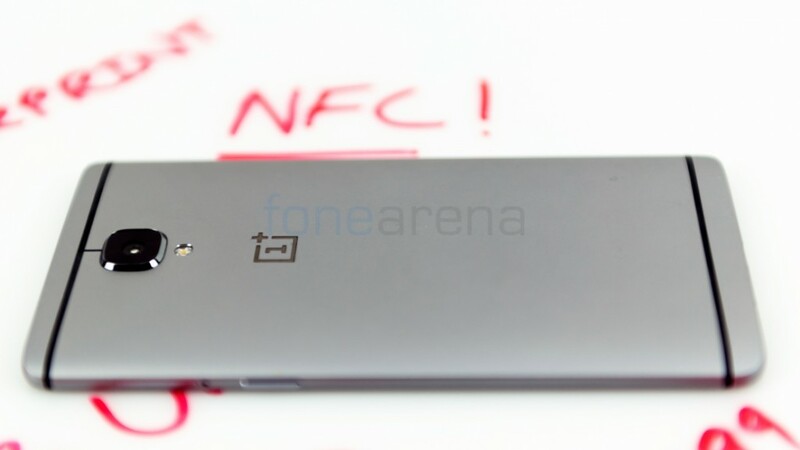 NFC was originally present on the OnePlus One but was removed on the OP2 and now is finally back on the 3rd generation flagship. A welcome change no doubt since it’s getting more and more popular as we speak. The device supports Dual Band Wi-Fi 802.11 a/b/g/n/ac as well as Bluetooth 4.2, GPS, Glonass and BelDou. A Quad-Core 64 bit Snapdragon 820 chipset that has 4 Kryo cores – 2 that are clocked in at 2.2 GHz and 2 that are clocked in at 1.6 GHz, powers the OP3. It also has an Adreno 530 GPU to help with the graphical processing and 6GB of LPDDR4 RAM for seamless multi-tasking. 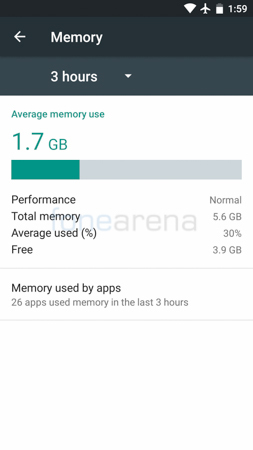 A total of 5.6GB of RAM is available to the user out of 6GB total. The performance of the device as you would expect is top-notch. The processor is really powerful and you no longer have any of the heating issues that plagued devices running on the Snapdragon 810. In fact, even the OnePlus 2 didn’t face the bad side of the initial batch of Snapdragon 810 chipsets that powered phones such as the LG G Flex 2. Check out our full benchmarks post here. In fact, the OnePlus 3 is surprisingly great at handling the heat even when gaming as can be seen in our gaming review video. Even after intense gaming the phone peaked at 43 degrees Celcius which is quite low for a phone which is this capable. That’s a huge bonus for OnePlus and will definitely be a big relief for those of you who get bothered by the slightest signs of a temperature increase on your phones. 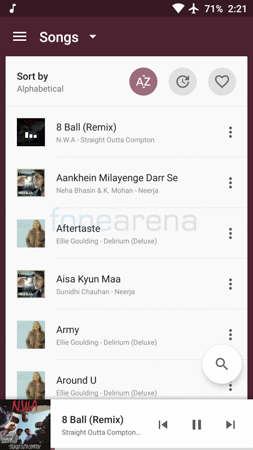 The music player on the OP3 is as simple as it can get and straight to the point. Users can sort tracks according to songs, artists, albums or tags and arrange them alphabetically, in terms of date added or most played. You get a shortcut to the track controls for the song that’s currently playing at the bottom and can also search for songs. The Now Playing screen has the track info at the top, a way to search for or create tags, the album art as well as the timeline and track controls at the bottom including shuffle and repeat options. That’s as simple as it gets and we’re fine with simple but the OP3 could’ve definitely benefitted from a built in Equalizer or an EQ app. The audio quality is really good through the audio jack and the volume is more than sufficient as well. 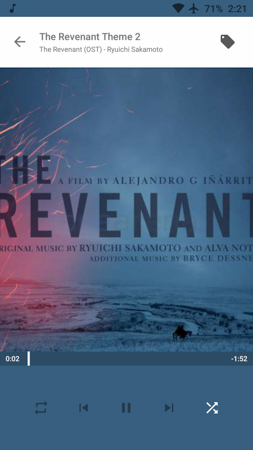 Sounds are quite natural and balanced and I like it that way. But there are folks who would like to tinker with EQs and get the best audio output that they want from their device and that is clearly missing on this. Loudspeaker performance is good compared to other flagships but isn’t as groundbreaking as what we experienced with the OnePlus One for example and isn’t as good as the Nexus 6P either. The speaker packs in a punch but the overall volume outputted isn’t “wow” inducing. The OnePlus 3 is equipped with a 16 Megapixel Sony IMX 298 Sensor that has a pixel size of 1.12 microns and a sensor size of ½.8 inches. So it’s not the biggest of sensors nor does it have the largest pixel size in the market. But the OnePlus 3 does have quite a good image quality in terms of the detailing, colour rendering etc. OnePlus have also thrown Laser Autofocus out of the window and I’m really glad that they did that. 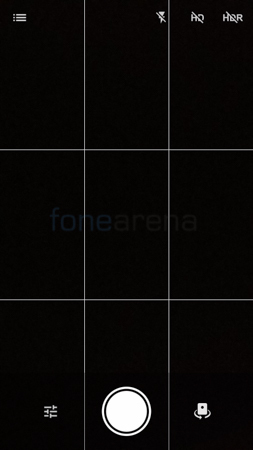 Up until now, almost every implementation of Laser AF on smartphones I’ve seen has been half baked. 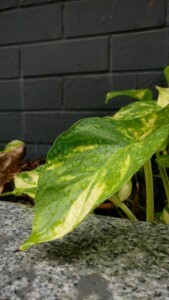 Even on the OnePlus 2, the AF used to take too long to focus since it kept hunting and finally when it did focus on something, there was a good chance that it was on a wrong object or subject. This time around, the AF speeds are much much faster thanks to PDAF (Phase Detection Autofocus) and while it isn’t blazing fast like on the S7 series from Samsung, it is still miles ahead of many of the current flagships on the market. The f2.0 lens is decent and provides a pretty shallow depth of field especially when taking close up shots. That’s something the OP3 handles quite well since it can focus really close to objects (around 5cm or so). 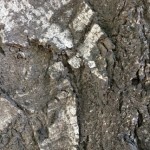 Click on any of the samples below for full resolution images. 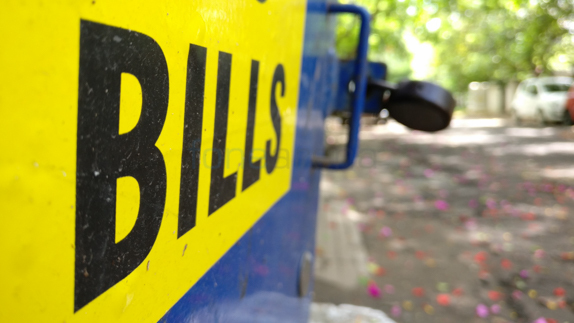 However, the Achilles heel of the smartphone is probably the auto mode in the camera. 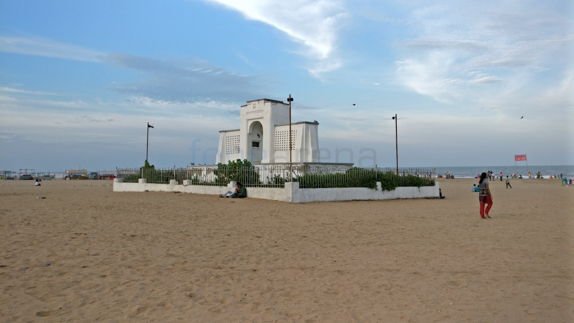 The auto mode has a tendency to bump up the ISO to unwantedly high levels and as a result captures too much noise. 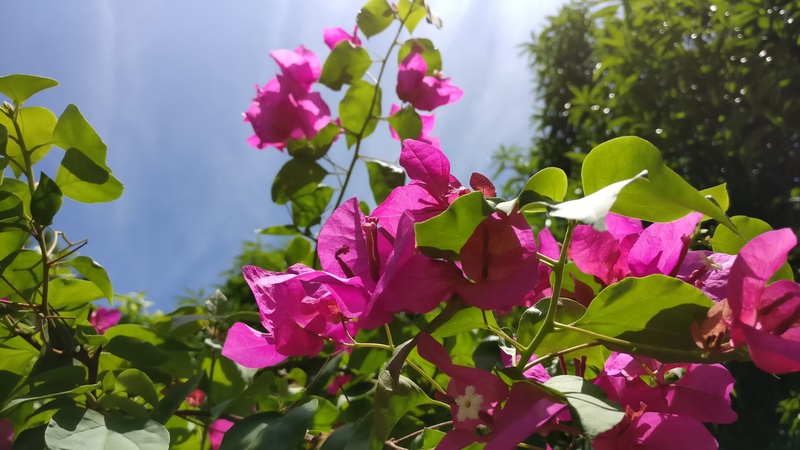 The same shot captured in manual mode easily keeps the noise under check and even captures a more accurate white balance even if WB is kept in auto. While night or low light photography isn’t the strong suit of the OP3, it is advisable to use the phone in Manual mode for those of you who know what you are doing in order to keep the noise in check. 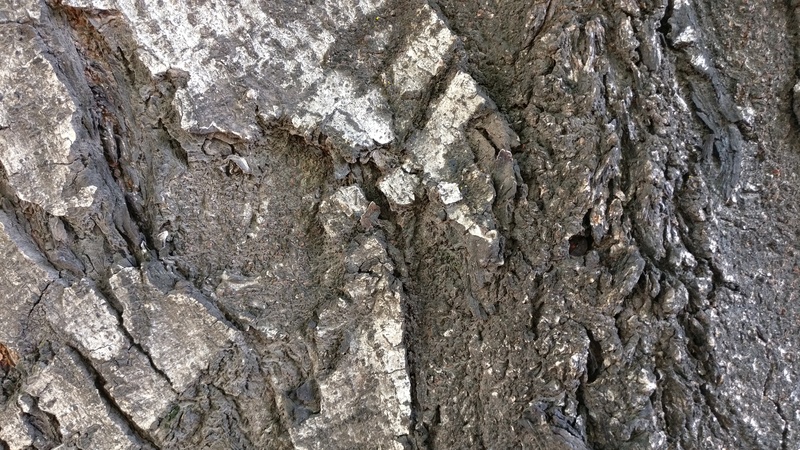 The photo on the left is taken in RAW while the one on the right is taken in Auto mode. Notice the difference in noise as well as the more accurate white balancing. 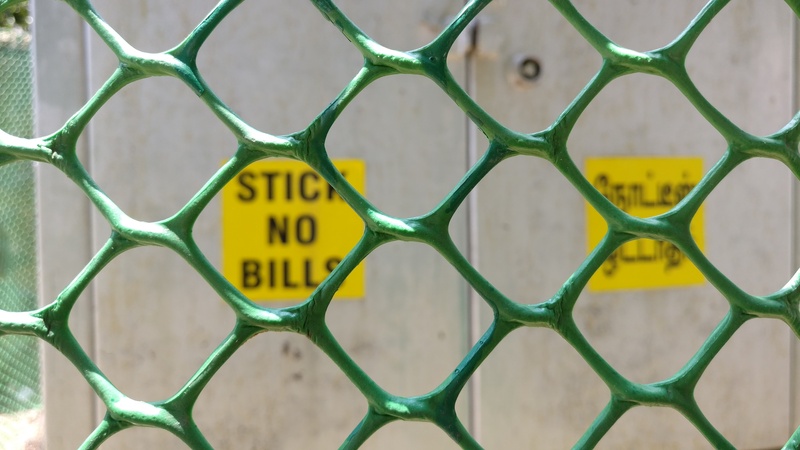 The image on the right is yellowish. Since its more of a software related issue, you can expect OnePlus to release an update in the near future that fixes this issue. The HDR mode works quite well at improving the already good dynamic range for more punchier looking images. In some situations however, you would be better off using the HD mode which essentially boosts the sharpness, clarity and detailing. The rear camera can record videos at a maximum resolution of 4K. At 4K resolution, the length of videos recorded are limited to 10 minutes. The camera has both OIS (Optical Image Stabilization) and EIS (Electronic Image Stabilization). The focus racks pretty fast even while recording video and the phone does a good job at automatically finding a point to focus on or you can do it manually as well. Videos shot on 4K especially have a lot of detail to play around with and will really help if you plan to crop in later or reframe. The stabilization also works well but can’t really go out on a limb and say that its class leading. Users can also change the exposure while the video is being recorded. 4K videos max out at 30 fps while slow motion videos can be recorded only in 720p resolution at 120 fps. We aren’t sure just why OnePlus haven’t included the option to record at 240fps but the chipset is definitely capable of doing so. 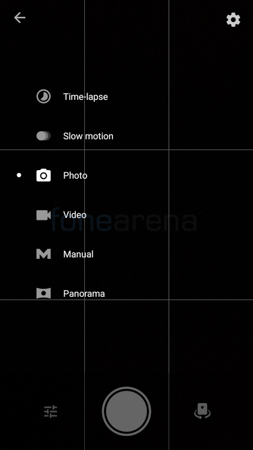 Hopefully an update will bring that option to the camera app as well. Time lapse videos can be shot either in 1080p or 720p resolution. OnePlus have replaced the dual-tone LED flash with a single LED flash and to be honest it doesn’t really matter. Although dual-tone flashes give a more natural tone, it still doesn’t look as good as a photo taken without a flash. If there was a way to bounce the flash, it would’ve been useful however that isn’t present on smartphones and hence its better to have a single LED flash that doesn’t take up much room internally since most of us will most likely be using it just as a flashlight anyway. The front camera has a resolution of 8 Megapixels and is a Sony IMX179 sensor. 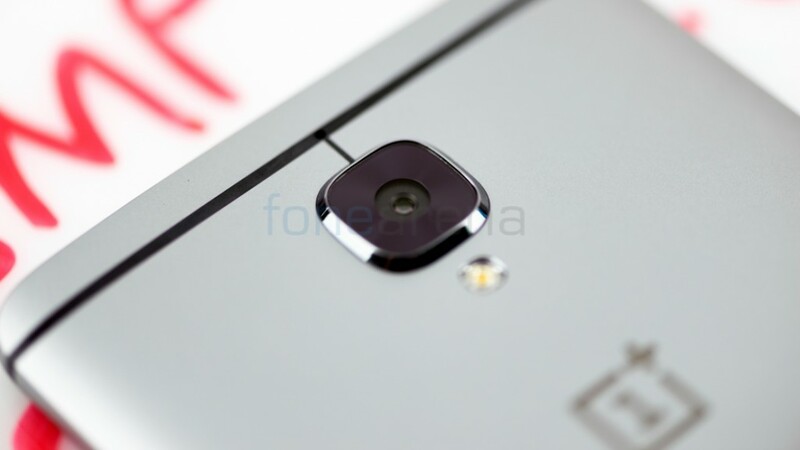 It has a pixel size of 1.4 micron and an aperture of f2.0 just like the main camera. Image quality is pretty good especially for social media purposes and it also fares quite well in low light thanks to the large pixel size. The front facing camera can take 1080p videos and users can take selfies by just smiling. The smile capture feature detects when someone on frame is smiling and begins a countdown to capture a photo in 3 seconds. 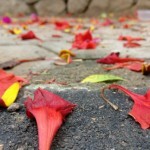 You can choose to let the phone take the photo or stop the process. The timer also allows other people in the group to smile after one person has initiated the countdown. If you aren’t a fan, you can choose to switch off the timer altogether and instead use the onscreen shutter button or one of the volume rocker keys to take the photo. 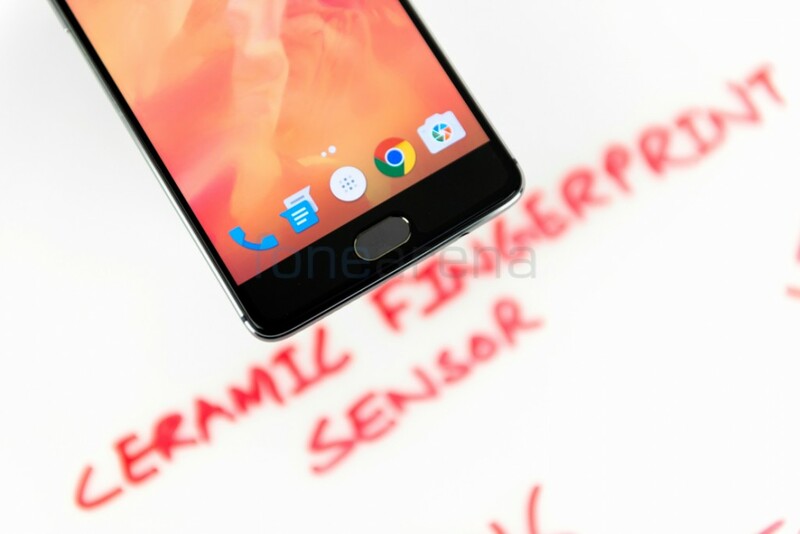 The whole UI is pretty much similar to the OnePlus 2 itself. Users are greeted by the main viewfinder that has a options key, shutter button and camera switch key at the bottom when in portrait mode. At the top, you have the mode shortcut as well as toggles for flash, HD and HDR modes. 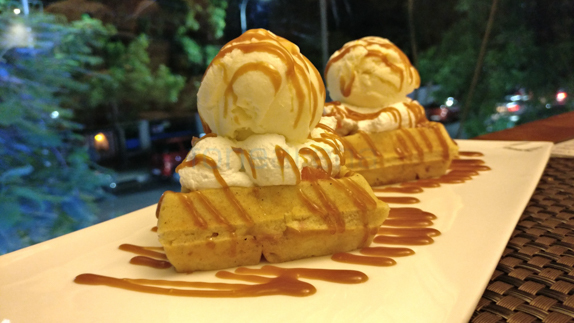 The different shooting modes include Time-lapse, Slow motion, Photo, Video, Manual and Panorama. 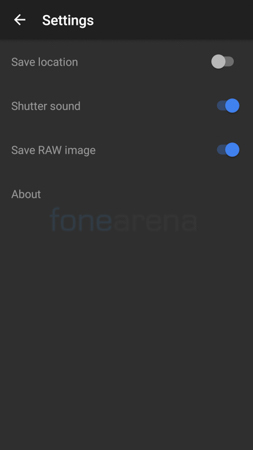 The OP3 supports RAW image capture, Geo-tagging and you can also choose to disable the camera shutter sound. The camera can also be launched by double pressing the power button. 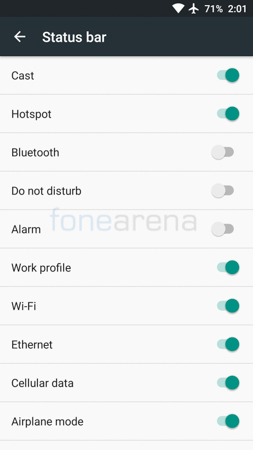 This feature can be turned on/off through the settings. 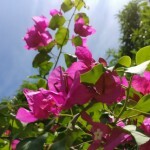 Users can also make use of a composition grid, timer and even change the aspect ratio of the photo. Panorama surprisingly only works in one way i.e holding the phone in portrait mode and moving it from left to right. 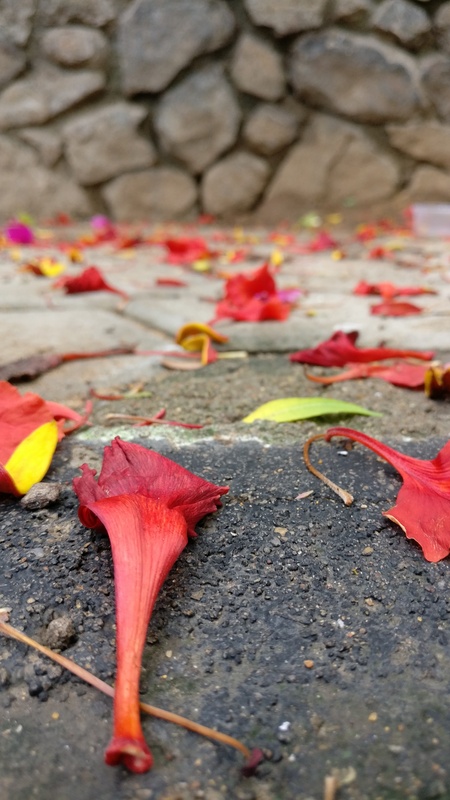 Manual mode allows you to set the shutter speed, ISO, focus and White Balance. The battery unit on the OnePlus 3 has gone down in terms of capacity from 3300 mAh on the OnePlus 2 to 3000 mAh. I feel that they should’ve included a bigger battery inside, perhaps a 3300 mAh or even something like a 3500 mAh even if it did add thickness to the waistline. In fact, that would’ve actually helped them disguise the camera bump to a large extent as well. The battery life on the OnePlus 3 is good but not great. Its not an endurance champion and most heavy users won’t be able to see it through the day on a single charge. It got a One Charge rating of 13 hours and 44 minutes in our battery tests. The 1080p display and Doze feature on Marshmallow certainly do play an important role in reducing the battery consumption. 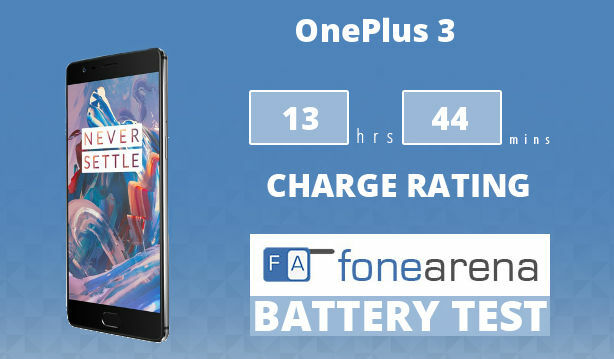 However, it is clearly evident that OnePlus is banking on you relying on their quick charging feature rather than relying on outright battery life endurance and that’s alright since quite a many number of handsets still do the same. Check out our full fledged battery test results here. OP3 supports a feature called Dash Charge which essentially is their version of fast charging that supports 4 Ampere charging at 5 Volts. Since the output is restricted at 5 Volts, the amount of charge entering the phone at any given point of time is pretty constant and that ensures a more effective and efficient delivery of power. OnePlus claims that the OP3 coupled with a Dash Charge certified charger and cable can charge the device from 0-60% in just 30 minutes. That is true more or less and Dash Charge certified chargers are also quite intelligent in handling the power management since it relies on the chargers to perform that instead of the phone itself. 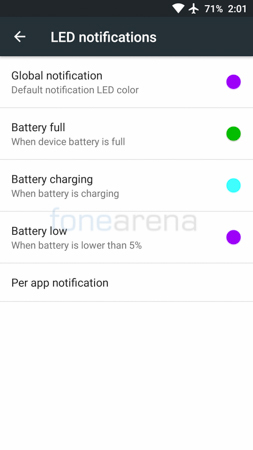 This means that regardless of whether your phone is kept idle or whether its being used to play a graphic intensive game, it will get charged at the same speed and will remain relatively cool compared to its competitors. OnePlus bundles a Dash Charge wall charger as well as a tangle free USB Type-C to Type-A cable that comes in the white and red colour combination as always. You also have the option of buying the OnePlus Dash Charge Car Charger if you want fast charging on the move. OnePlus is a brand that had a clear cut motto and an attitude that set them apart. 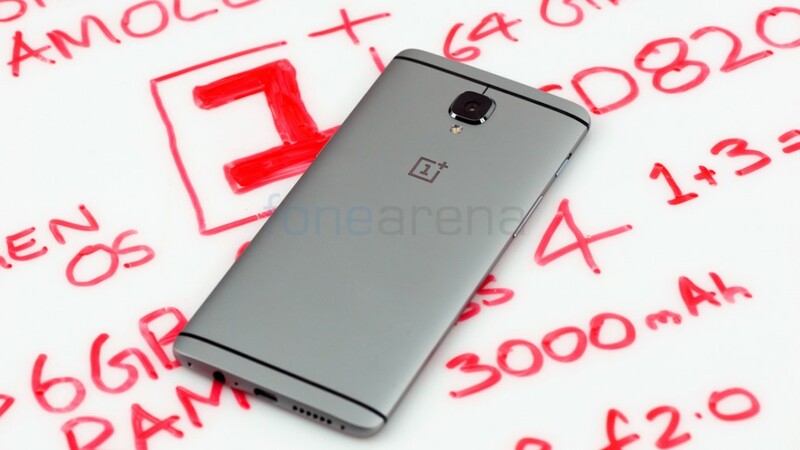 Their OnePlus One smartphone was about not needing to compromise on anything. However, after the initial success, they sort of lost their way with the OnePlus 2 and many had written them off to being a one hit wonder. However, they are now back with the OnePlus 3 and they seem to have gotten their old charm back. This seems like a smartphone that you really don’t have to compromise much on. Sure, there are a few flaws but nothing major enough to be considered a dealbreaker and in fact, the original OnePlus One wasn’t without flaws either. Also important to note that no smartphone can and should be considered perfect in the pursuit of technology as that would mean that we are settling for what we have and doesn’t go with their slogan “Never Settle”. The OnePlus 3 is without a doubt a flagship device and one that is really affordable too. Sure, it is more expensive than any of its predecessors. However, it is also better than any of its predecessors and in fact better most of its competitors. 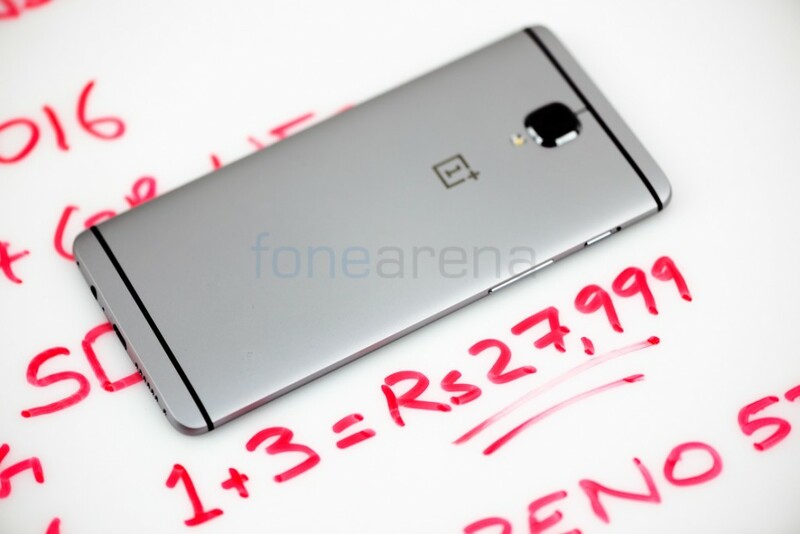 At Rs 27,999 (US$ 399 and EUR 399), I would definitely recommend this phone to anyone who is looking for a no compromise smartphone at an affordable price tag. Oh and btw, this time around, you don’t need to wait for an invite. 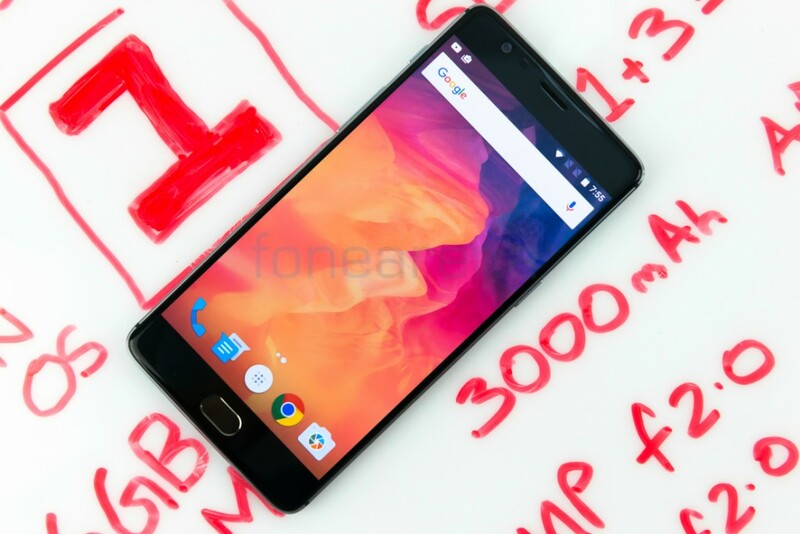 The OnePlus 3 will be available for purchase sans invite from the date of launch itself from Amazon.in.